It’s okay for kids’ books to be fantasy – why not adults? The Jan/Feb edition of Interzone magazine (issue 238), which featured my short story THE COMPLEX is now available over on Amazon along with lots of other back issues. With less than a week to go until the official release date for OSIRIS, you can grab the ebook early over at Baen Ebooks along with other June releases from Night Shade Books. And today Kirkus Reviews included OSIRIS in its list of science fiction and fantasy books for June. All very exciting! 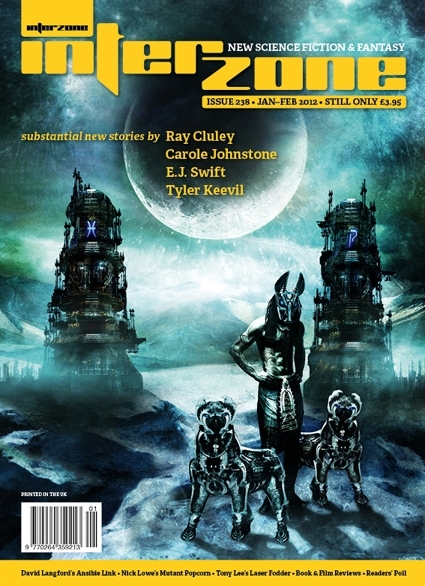 This entry was posted in Night Bazaar, Osiris, short fiction on May 30, 2012 by E J Swift.